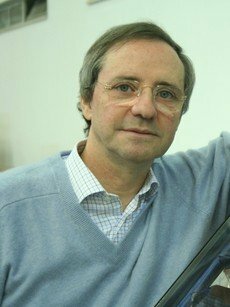 Manuel Collares Pereira is Full Professor at the University of Évora, Chair BES Renewable Energies, Director of IPES-Instituto Português de Energia Solar, founder and President of SUN AID and consultant of DeViris. Author of “Energias Renováveis – a Opção Inadiável”, co-author and editor of other books, author of more than 180 scientificc papers and over a dozen patents. Up to 2006, he was Coordinator Researcher at INETI, simultaneously pursuing an University career- professorship. Also Founder and twice President of Centro para a Conservação de Energia and President of ACTD - Associação de Ciência e Tecnologia para o Desenvolvimento. He represented the Portuguese Government in high level Steering Committees for European Union Renewable.